Native starches, as the name implies, are extracted from natural sources such as waxy maize, maize, wheat, high amylose maize, potato, and tapioca. Such native starches mainly find application in food thickening and texturizing. In fact, one the primary reasons why native starches are seeing uptake is because of their great gelling, thickening, anti-staling and moisture retention properties. Hence they are finding widespread applications in a range of areas. Those include bakery mixes, brewing adjuncts, batters and breadings, dry mix soups and sauces, creamy spreads and fillings, pet foods, licorice confections, pudding powders, processed meat, salad dressing, and others. Hence, the global native starch market could be rising at a steady pace. The massive demand for convenience food worldwide could be providing the biggest support to the growth momentum of the global native starch market. Native starch finds widespread usage in formulating “on-the-go” food and beverages because of its ability to control moisture, manage texture, act as a thickening agent, and others. As the consumer spends rise worldwide, the global native starch market is expected to grow further in the next couple of years. Another factor that could be majorly boosting the global native starch market is the proliferation of the bakery market. Despite looking upbeat, a few drawbacks could be hampering the global native starch market. The most prominent among those is the stiff competition from low priced modified starch. Along with that, the strict laws with respect to starch production could be posing a considerable threat to the growth pace of the global native starch market. 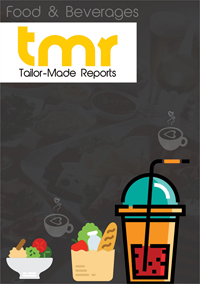 Notwithstanding such temporary setbacks, the global native starch market would continue to rise because of the constant thrust on research and development for finding better functionalities of food applications. The different sources of native starch can be broadly classified into rice, wheat, cassava, corn, and others. Among them, corn could contribute a significant share in the global native starch market in the near term. Native starch finds application in beverages, confectionaries, bakeries, and others. Of these, the flourishing bakery industry is believed to be driving most of the demand in the global native starch market. Further, demand and sales is also being boosted by the usage of native starch in binders, texturizers, and stabilizers in a range of food and beverages and processed products. With respect to geography, the Asia Pacific native starch market could be prominent shareholder. This is because of the widespread usage of the food ingredient in the burgeoning food processing industry in the region. Native starch is used as a thickening and stabilizing agent in products such as desserts, sauces, custard, and others. Going forward too, the Asia Pacific native starch market is set to dominate with respect to value and revenue. This is because of the low production cost, owing to favourable climate in the region. Europe is considered another prominent region in the global native starch market. This is primarily on account of the growing preference for organic food additives in the region. Prominent participants in the global native starch market are Cargill Incorporated, Ingredion Incorporated, and Archer Daniels Midland Company.